I’ve met folks (usually from the city) who have no idea what a farrier is or actually does. Who better to show them than Hilary Cloos, our own farrier, shoeing one of my own horses for his first set of shoes. Prestur is an Icelandic horse, only four years old at this session. 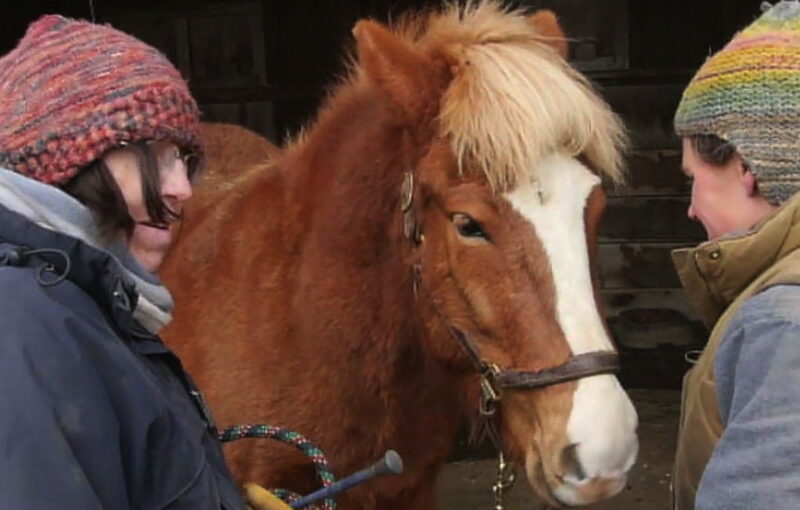 What is amazing is not the fact that Hilary is a female farrier, but that this was Prestur’s first set of shoes and he was very calm about having his hooves banged on for the first time. It bodes well for his demeanor on the trail.